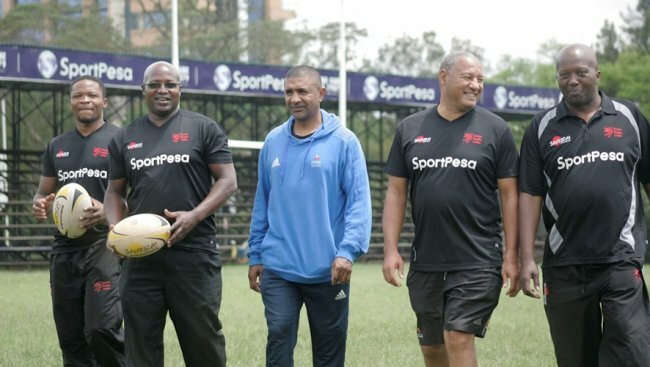 A fragmented Kenya Rugby Union Board coupled with administrative bottlenecks within the Kenya Simba's 15's team has contributed to the departure of Jerome Paarwater as head coach. The writing has been on the wall for some time with murmors among the rugby fraternity about the time Paarwater was spending with the team. To most rugby pundits, Paarwater could not have been in total control of the team and was said to be unhappy with the frequent changes of the playing force. Key to his dissatisfaction was the selection process which did not encourage continuity. In one of the wholesale changes to the team, the coach met and talked with some of the players who had been dropped. The Senior players who had agitated for payment of allowances were kicked out of the team and replaced. But, the decision taken by KRU is seen as a precautionary measure as Kenya begins preparateions for Rugby Africa Gold Cup which will also double up as an African qualifier for the Rugby World Cup in Japan. His (Paarwater's) unavailability on a full time basis for the crucial qualifiers meant KRU had to steady the ship with a coach who is available full time. One of the seniour players who spoke with SNA said an analysis had been done and the individual players assessed after the tournament in Hong Kong where Kenya lost all the three matches. "There was so much intensity in Hong Kong and it is an area we we should urgently address, " the player acknowledged. There are no immediate assignments for the national team who will resume light training shortly. But, there are talks of the team touring New Zealand and looking at sourcing for a foreign coach who will be based in Kenya. Also, KRU are looking at a local option by elevationg some of the deserving coaches who have had success with their teams. On Monday, KRU released a three-paragraph statement to say they had released Paarwater. The statement read in part: "Jerome has been a key influence for the Simbas, guiding the team up the world rankings and making the team a formidable force on the continental stage. He has certainly been part and parcel of the country's continued emergence in the longer version of the game." The terms of engagement of Paarwater by KRU have not been fully disclosed. Whether he was on engaged on a full or part time basis is not clear. It is also not clear whether his engagement arose as an exchange program between his Union and KRU which raises another pertinet question whether he was salaried. But, SNA authoritatively established that there were KRU Board Members and the team's management who were not happy by Parwaaters presence in the national team and agitated for a local solution.